Rankbuilder with free traffic for your website. Push Button Link Building Software. 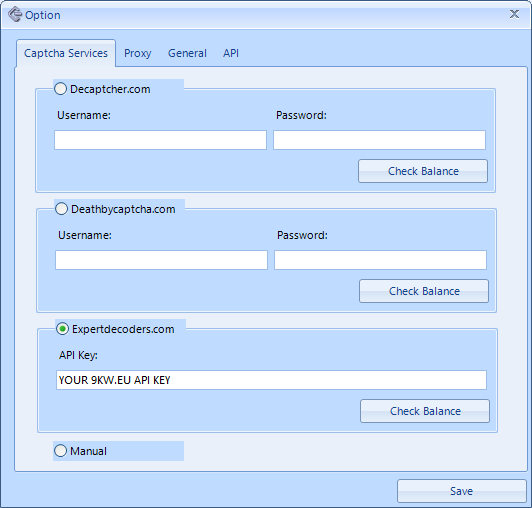 Start Rankbuilder and use "Options" => Tab "Captcha Services" => select "Expertdecoders.com" => insert your 9kw.eu api key in the field "API Key". Save it.